Depression has become a very common problem in the U.S. across all ages and demographics. Although women tend to have higher rates of depression, men also struggle with the issue in huge numbers. According to studies, in 2014 almost 16 million adults in the country went through a depressive episode. Each person has their own unique experience with depression and certain factors can affect their symptoms. Gender can actually play an important role in how a person copes with depression and how the illness manifests itself. Women and men can share common signs and symptoms at times but they each experience depression differently. Understanding how men and women differ in coping with depression can help inform their treatment and can allow them to find better recovery methods. It is important to know that everyone responds to treatment strategies differently, and women and men may find distinct things that make them feel better. How people related to depression can determine what type of treatment will be most effective. The unfortunate reality about gender and depression is that women carry most of the burden of the mental illness. Women actually have twice the risk of developing the condition than men even in different age groups. This is partially related to biological reasons such as hormones and genes that get disrupted when brain regions are developing in the womb. Biological factors can create a higher vulnerability for depression and women tend to suffer from the problem more often than men. However, another factor that may explain at least partially why women have higher rates of depression is that they are better able to recognize these emotions in themselves. Men can generally be less in tune with their feelings and may not realize that they are experiencing symptoms of depression because they are hiding or denying their unhappiness. Interestingly, although women have a higher risk for depression they don’t experience it as persistently as men. Women are more likely to have episodic depression that comes and goes while men experience persistent depression. Men are also more likely to suffer serious consequences from their depression such as issues with substance abuse and suicide. Studies have shown that men and women even have different biological responses in their brain to words that are neutral, happy or sad. The parts of the brain that are linked to depression respond different in person’s brand based on their gender. Certain brain patterns showed that women might respond to more positive stimuli in easing their depression whereas men might need a different approach. Even though symptoms can appear to be similar at times between men and women when they experience depression, treatment approaches should be catered toward them specifically. Research has shown that the way men and women experience depression differently could mean that they respond to different kinds of treatment. These specific kinds of treatments might be more effective with early intervention for young teens who are just starting to show symptoms. Since women are more likely to ruminate and engage in negative self-talk, focusing more on positive things or distracting themselves can sometimes be more effective for feeling better. Men are more likely to try to mask their sadness or avoid dealing with it so confronting their depressed feelings may be more useful for them in treatment. Men may also have more issues with anger and irritability as part of their depression which need to be addressed as well. While men are more likely to have a co-occurring issue with substance abuse because they have a tendency to self-medicate their feelings, women are more likely to have a co-occurring mental illness such as an eating disorder or anxiety disorder. Women tend to have more body images issues and react to stressful situations more than men so they might struggle with anorexia, bulimia, anxiety or panic disorder. 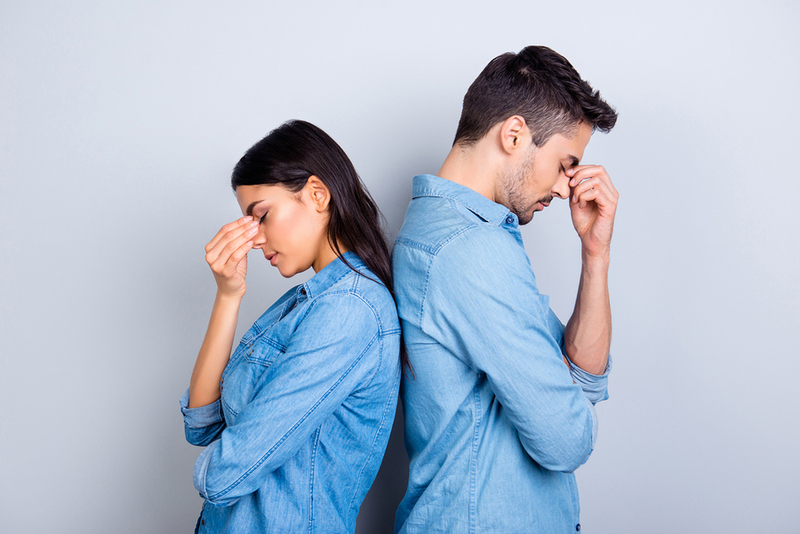 It is crucial that both genders receive dual diagnosis treatment if they have either a substance abuse problem or another mental illness along with their depression. Another aspect of treatment that should be considered is the type of medication used to treat depression. Women and men can respond differently to antidepressants so it is important for these issues to be considered when they are given a prescription. Studies have shown that women are often over-treated with antidepressants and men are under-treated with them so a good quality psychiatrist will be able to prescribe the right medication only when necessary. Regardless of gender, everyone experiences depression in their own unique way and there is no one size fits all treatment. It is important to find therapists and psychiatrists who take your personal needs into account and consider not only your gender but other factors that are specific to you.